A name includes many things about person. Name not only gives identity but also you can know many things about your personality and nature. The letter D is considered to be equal to the numeric energy of 4. The number 4 represents balance, security and hard work. 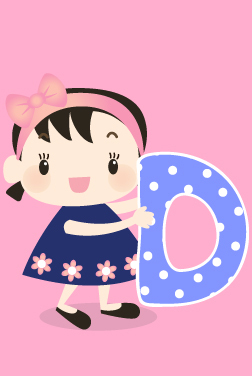 The D letter is considered to be an impressive energy letter. This letter is also associated with business and money. People whose name starts with D letter, they are hard-working and often get success in their life. People with D letter prefer to live a very systemic life and take special care of cleanliness. They do not like to live in chaotic and inexplicable ways. They know the purpose of their life. They reach to the point in which direction they begin to move. They never get confusion in their life. This makes them very successful. They are very loyal and capable. They always work in others' difficult times. People with this name strongly feel that they should put strong foundation of relationship for yourself and your family members. This letter has the strong will power. They follow their principles in their life. They are very stubborn. This proves to be harmful for themselves. Those people whose name starts with letter D, they give feedback quickly. However, they take care a lot about others and help them to solve their problems. They are very generous and very active about their romantic life. They are very passionate whoever comes in their life. They care a lot for them. Many times their love gets affected with jealousy and they become overprotective. Many times they do not like to bend in front of these circumstances. They do not like to make agreement in their life.